The cemetery is not visible from the road. It is just west of an old metal building. The large cedar trees in the cemetery are visible. A few stones may be seen in the tall grass. Part of the cemetery is in the grass and part is in the trees. This was once the community of McMinn, which had a Cumberland Presbyterian Church, named McMinn Chapel, and a school. The cemetery was behind and south of the church, with the school to the east. The church moved to Nevada in 1902. The community of McMinn preceded Nevada. John McMinn deeded land for a church and a cemetery on October 22, 1884, with the deed recorded in Vol 28, p 107. John McMinn and his wife, Evaline Ladd Majors, are buried in the cemetery. According to A HISTORY OF NEVADA, TEXAS, a great many bodies were moved to the Nevada Cemetery when it opened in 1907 or 1908. 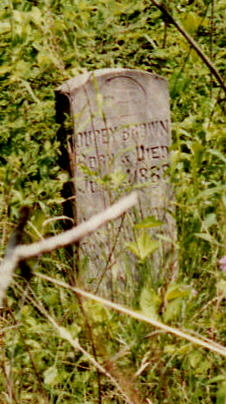 This is apparent as the graves at McMinn Cemetery are scattered over an acre or so of land. Maybe 15 graves are visible. COLLIN COUNTY CEMETERY INSCRIPTIONS I lists around 50 graves. Known to be buried here, but not on their list, are Texas A. McMinn, 1859 - 1892; I. D. James, d 1899; and his wife, A. A. James, d 1923. This is a very neglected cemetery. The family plots have large trees and brush filling them to the point that no stones are evident. Portions of 3 or 4 different kinds of fences are in evidence. 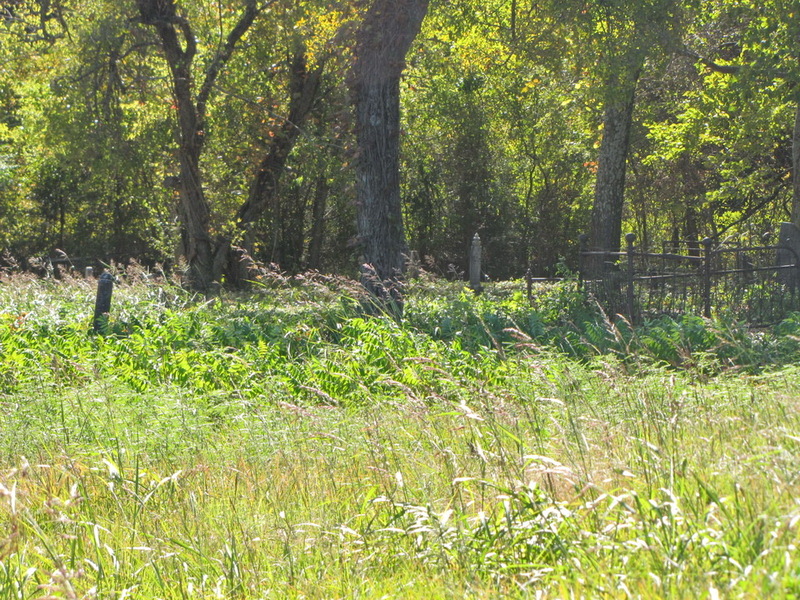 The area outside of the fences is mostly grass, making one think that it was cleared at some time. No vehicle access is evident. reminder of the early community.